The aluminum plant (Pilea cadierei) also known as the watermelon pilea or the watermelon plant is an easy-care houseplant with metallic coloration. This native of Vietnam is grown for its attractive foliage. The puckered, dark green leaves are beautiful and unique with silver markings between the veins. This plant does flower; however, they are very small and insignificant. A pilea cadierei houseplant will make a wonderful accent for your home when placed on a tabletop, hanging basket or windowsill where the top of the stunning leaves are visible. It also looks great in contrast with groupings of other foliage plants. 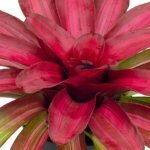 This plant will grow 12 to 18 inches tall, making it ideal for terrariums and dishgardens. Temperature: Provide your watermelon plant a year-round temperature between 60-75 ºF (15-23 ºC). Light: Keep plant in bright indirect sunlight (at least four hours) to keep it attractive. When you do not provide enough light, your plant grows leggy as it reaches for the light. Also, do not expose it to direct sunlight as this will burn the leaves. Water: Keep the top quarter inch of the soil moist during the spring and summer when it is actively growing. During fall and winter (the watermelon pilea begins to go into the resting phase) allow the top quarter inch of potting mix to dry out before you water again. Always drain off excess water left in the saucer underneath the plant. Humidity: Provide plant with high humidity. 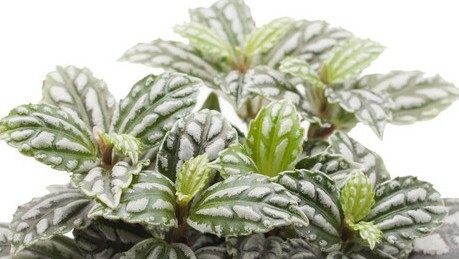 You can keep it on a special humidity tray or place the plant on a tray of pebbles filled with water. The pot must not touch the water. This plant would also be happy in a terrarium. Soil: Grow in a basic potting mix that drains quickly. You can keep the soil airy by adding one part clean sand along with two parts peat moss. You can use perlite in place of sand. Repotting: Repot annually to a larger size pot, as this plant does not like to be root bound. Propagation: Propagate in the early spring by cuttings or division. Grooming: Keep plant looking it's best by Pinching back to encourage new growth and bushiness. 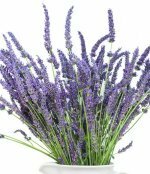 Pests: Plant may be attacked by spider mites when kept in a hot, dry environment and attacked by fungus gnats if kept in wet potting soil. Mist with tepid water and avoid overly wet soil. Diseases: Prevent bacterial and fungal leaf spots by keeping the aluminum plant leaves dry and by providing good air circulation. You can treat these diseases with a commercial fungicide. According to the ASPCA, aluminun plants are non-toxic to cats and dogs.